Building your own house is without doubts a complex process that requires precise planning at each and every stage. This level of detail will help you achieve a finished project that meets or even exceeds your expectations. Interiors and exteriors of your house are equally important for your comfort and happiness, so they both deserve identical attention. After an architect has implemented your vision into the design of your house, it is time to think about how to arrange the finishes inside your new home. In order to create a personal space in your dream home, that will make you proud, you may consider appointing an Interior Designer, or even an Interior Architect – a specialist who will be able to arrange interiors of your dwelling in the best way possible. In order to understand what an Interior Designer does and how your Self Build can benefit from appointing one, we asked John Evans – the CEO of a high-end interior architecture & design company based in Birmingham, to explain further. In this interview you will read about the differences between the roles of an Interior Designer, Interior Architect and Interior Decorator and the spectrum of their capabilities. The article will also answer the questions of what are the advantages of appointing an Interior Designer and how doing it can help you to save your money in the long run. The interior design process, costs and other elements will also be explained. So if you really want to build a home of your dreams (we know you do) this article is for you. GIVE US SOME BACKGROUND INTO JOHN EVANS INTERIOR ARCHITECTURE & DESIGN LTD? 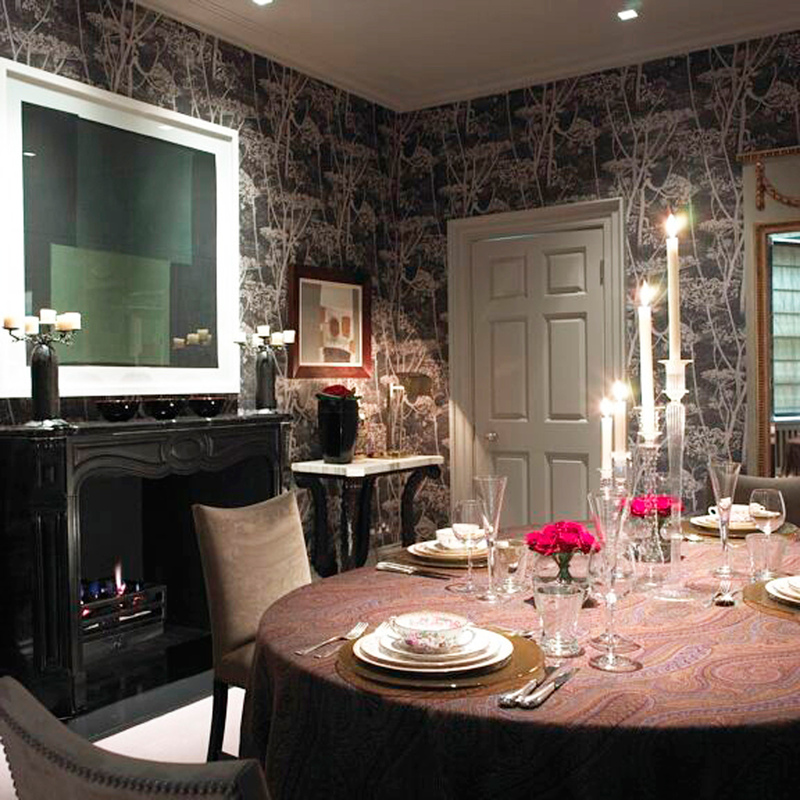 John Evans Interior Architecture and Design was first established in 1980. The practice started life in a converted coaching house next to Johns own home, since then the company has seen impressive growth, moving to premises in Victoria Works in 1989, a listed building from the Victorian era used as a pen nib factory. We now have three storeys to the studio and are very proud of our offices. John also has a loft apartment by Tower Bridge which is used when in London. Working for over 35 years our team have worked on a huge number of residential and commercial projects. In 2013 John launched je+1 which now handles the retail side of our business, allowing John Evans IAD ltd to concentrate on creating beautifully crafted classic-contemporary interiors. Success in private residential commissions, exhibition and large scale retail projects, has led John developing long standing relationships within the design world. PEOPLE OFTEN CONFUSE THE PROFESSIONS OF AN INTERIOR DESIGNER AND AN INTERIOR DECORATOR. WHAT IS THE DIFFERENCE BETWEEN THESE TWO SPECIALISTS? I would add a third. We are Interior Architects meaning we work on the interior structure of the building, as an Architect works on the exterior and the interior. 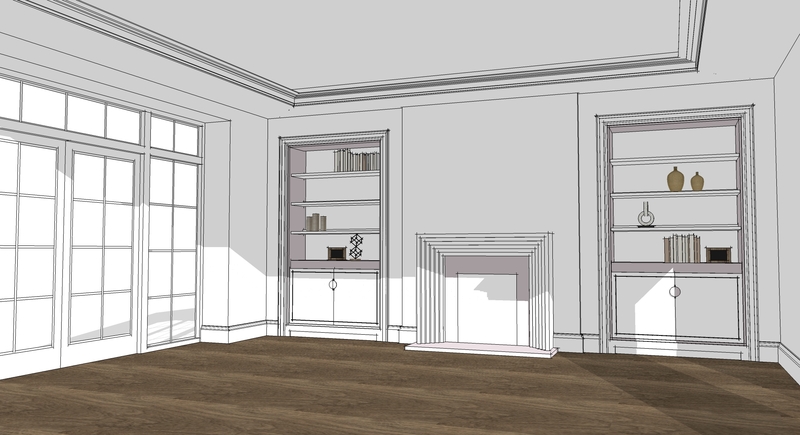 We are specialists in the interior, interested in the space planning and every detail of the interior through to providing full sets of drawings and specifications to enable the contractors, cabinet makers, and electricians etc. to accurately price and carry out the work. We also handle the full design service to be able to design, supply and coordinate the furniture, fittings and equipment. 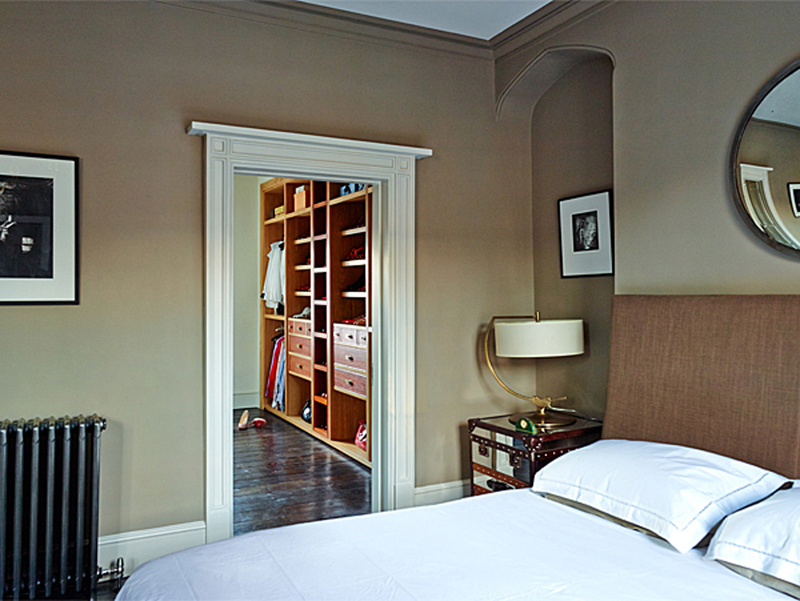 Interior Designers and similar to ourselves with less of the architectural element. Interior Decorators are generally more interested in the decoration and furnishing of a home, though there are exceptions to these rules and I am aware of some very good Decorators that take on all of the work, this also is a term used in America for Interior Designers in general which makes it all very confusing. WHAT ARE THE ADVANTAGES OF APPOINTING AN INTERIOR DESIGNER INSTEAD OF DECORATING A HOUSE YOURSELF? HOW CAN A SELF-BUILDER BENEFIT FROM THIS? The main advantage is to avoid making expensive mistakes. Just as a good Architect can give you the house you have always wanted and worked hard to achieve. We live in the inside of our houses, why wouldn’t you want to have a specialist help you to achieve the perfect interior. With the use of modern technology Interior Designer can produce computer aided visuals that allow you to walk around your fully furnished house and approve the details before construction and furnishing. They can provide you with sample boards showing the proposed finishes for approval and help you choose the correct furnishings and fabrics. 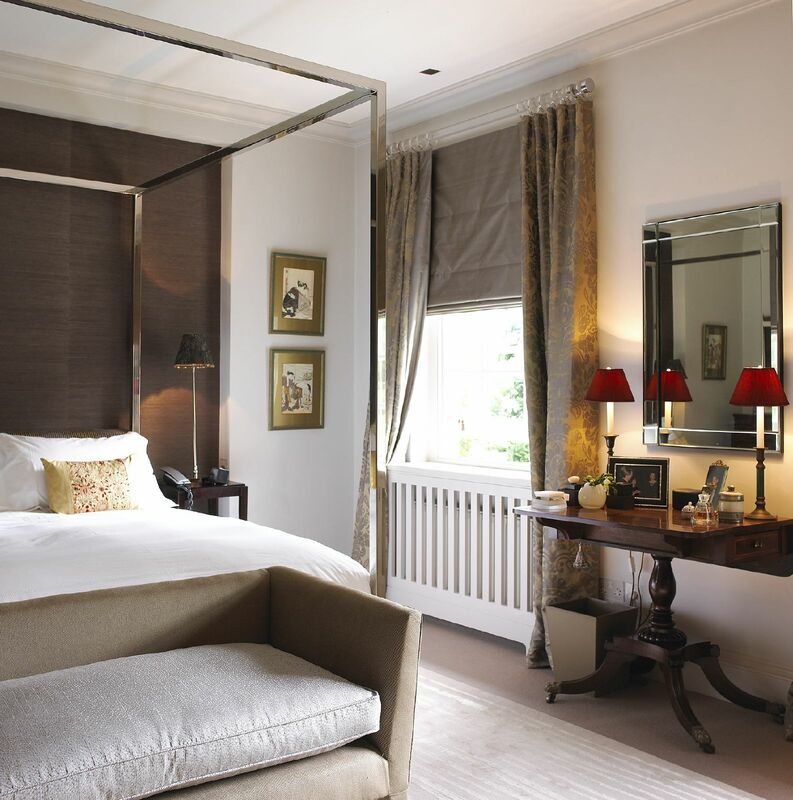 INTERIOR DESIGN PROCESS REQUIRES A COMPREHENSIVE PERSONALISED SERVICE. WHAT STEPS DO YOU TAKE TO FULLY UNDERSTAND YOUR CLIENT’S VISION AND PREFERENCES? We have to take a very detailed brief of what the client is trying to achieve and what their aspirations are as we want to exceed expectations. I always ask for a new client to give us, in photographic form a record of their likes and dislikes. We produce mood boards during the design process which are designed to capture the look and style of the interior we are considering and proposing for the client’s property. These are normally presented at an early stage and almost always include an initial layout plan. After we have presented these we allow for changes to the plan and the mood boards, this creates a dialogue on which to base our ongoing design process, continuing conversations are so important to us understanding the clients wishes and interpreting them correctly. 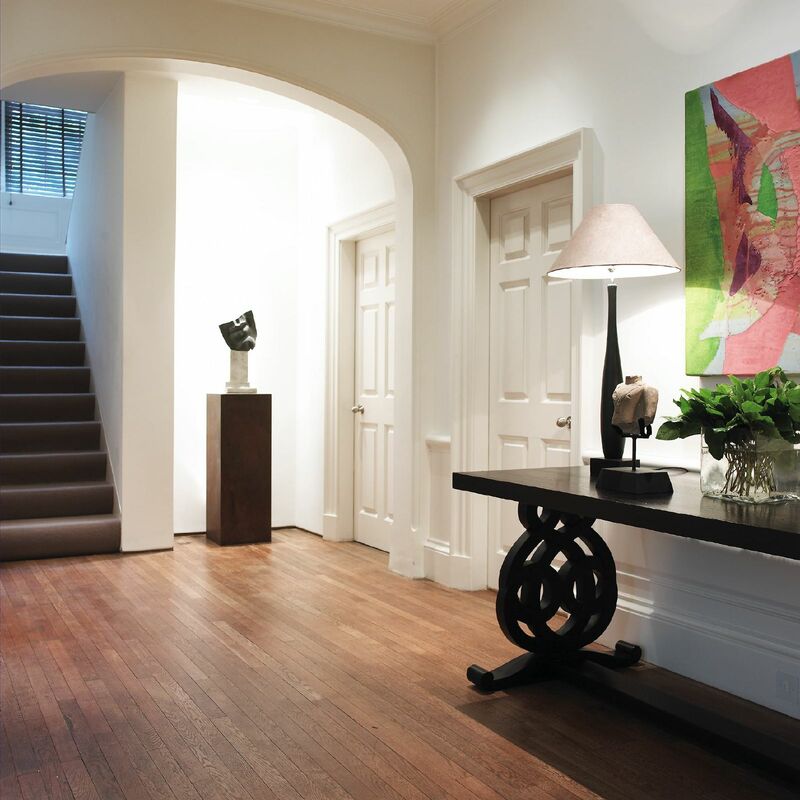 INTERIOR DESIGNERS NOT ONLY DESIGN THE INTERIORS, THEY CREATE FUNCTIONAL SPACES FOR THEIR CLIENTS. IN ORDER TO ACHIEVE THIS THEY STUDY THE MOVEMENTS OF INDIVIDUALS WITHIN THE SPACE. HOW DO YOU ACHIEVE THIS? To achieve this we need to understand the clients’ lives. This is achieved through a combination of the initial brief which has to be very detailed and the ongoing dialogue. On a recent project it transpired that the client had to take work calls from other time zones which disturbed his wife. Armed with this knowledge we created a small office adjacent to the bedroom so that the client could make notes and speak to clients without disturbing his wife. 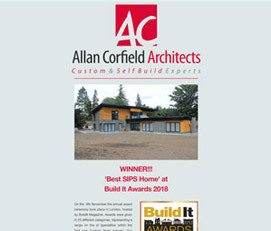 AT WHAT STAGE OF A SELF-BUILD PROJECT SHOULD A SELF-BUILDER START COOPERATING WITH AN INTERIOR DESIGNER? As early as possible. The earlier we are taken on the more help we can be. Ideally on a Self Build once the Architect has an outline plan we can start work on the interior layout and begin the process of taking the brief and liaising with the Architect and other professionals involved. WHAT DOES THE PROCESS OF COOPERATION BETWEEN AN INTERIOR DESIGNER AND AN ARCHITECT LOOK LIKE? We work with a lot of Architects and the process works very well. Again I emphasize that the earlier we are involved the better the process works. During our work on the initial layout plan after we have taken the brief from the client we often find that there are minor tweaks that need to be made to the overall layout of the building to accommodate all of the client’s wishes and the placement of furniture. These are far easier to make whilst the building is still in the development stage. A close working relationship with client, Architect and Interior Designer will result in a home that works internally and externally. First we organise an initial meeting with the client to discuss the project and show our portfolio of work. We also talk about how we can help them achieve the results they have set out (there is no charge for this initial meeting). We ask lots of questions to gather the brief we like the client to tell us as much as possible about themselves and their aspirations for the home they are building. We ask for their likes and dislikes. We then quote for and initial presentation this normally includes floor plans showing our proposals based on the brief and mood boards showing the way the scheme will look once completed without going into detail. We may also include a three dimensional computer generated model, though this is normally presented at the next meeting. Once this presentation has been made we allow two for changes to be made within the costings, so that the client is completely happy with our proposal. Once the client is happy with our proposals we agree fees for the next part of our work. This can be as a percentage if we are handling all the design work on the complete interior and a spend amount can be agreed, or we can price for each individual part that the client wants us to deal with, as there may be elements that the clients want to handle themselves. We can and prefer to carry out all of the design work in conjunction with the team as we feel that the client benefits by getting a completely cohesive scheme and advice throughout the build. We are also aware that ideas change as the build progresses. 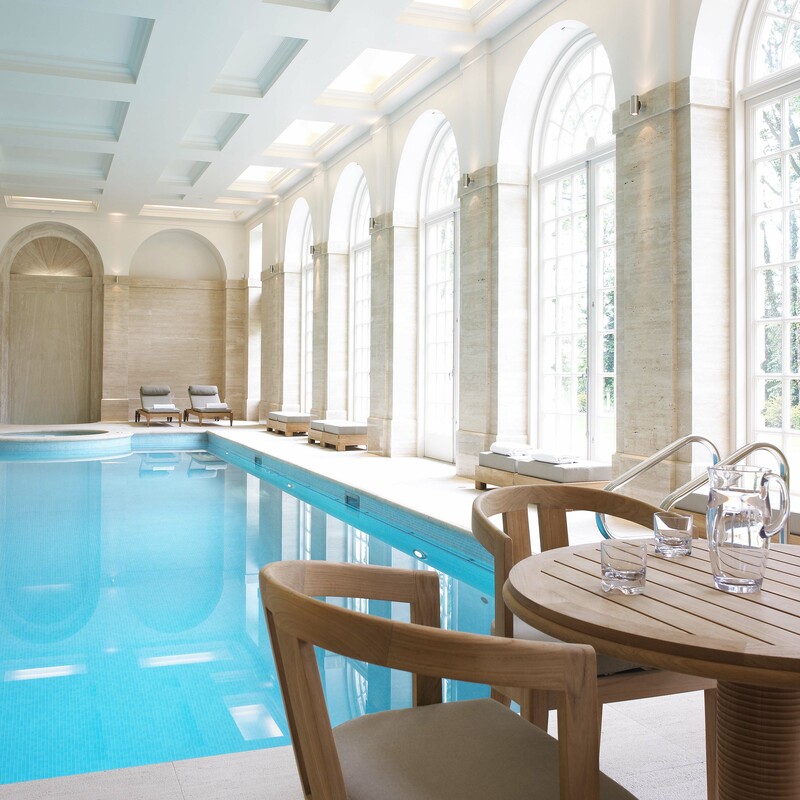 IS THERE ANY DIFFERENCE BETWEEN DESIGNING INTERIORS FOR NEW BUILDS AND RENOVATIONS OF EXISTING BUILDINGS? I would say it is probably easier to design interiors for new builds. Working with a good Architect and Interior Designer before the property is built, the client is able to achieve exactly the results they are looking for whereas with a renovation there are always constraints. HOW DO YOU PRESENT IDEAS TO YOUR CLIENTS TO ENSURE THAT THE DESIGN IS EXACTLY WHAT THEY EXPECT? We present our work in the form of computer generated three dimensional models allowing the client to walk through the property before the work takes place, this is to scale and gives the client a really good idea of how the interior is going to look when completed. We are also able to produce fully rendered photorealistic visuals should they be required. We produce sample boards to show the client proposed finishes and once all of these are agreed we produce all the working drawings and schedules needed. HOW MUCH DOES THE SERVICES OF AN INTERIOR DESIGNER COST FOR THE AVERAGE SELF-BUILD HOUSE? 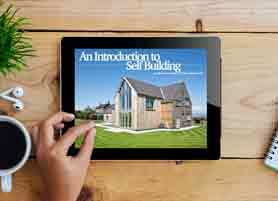 HOW CAN IT SAVE THE SELF-BUILDER MONEY IN THE LONG RUN? It is difficult to give a precise price as every project and client is different and their wants and needs vary. Obviously the more work we do on the project in regard to working drawings for bespoke cabinetry the more the project can cost. I would say that using the services of an Interior Designer can save money by avoiding expensive mistakes and sourcing cost effective materials. I would always ask for a quotation for the services of an Interior Designer and if it seems too high a cost for a full service ask what can be done if on a lesser service if you undertake some of the rooms yourself. 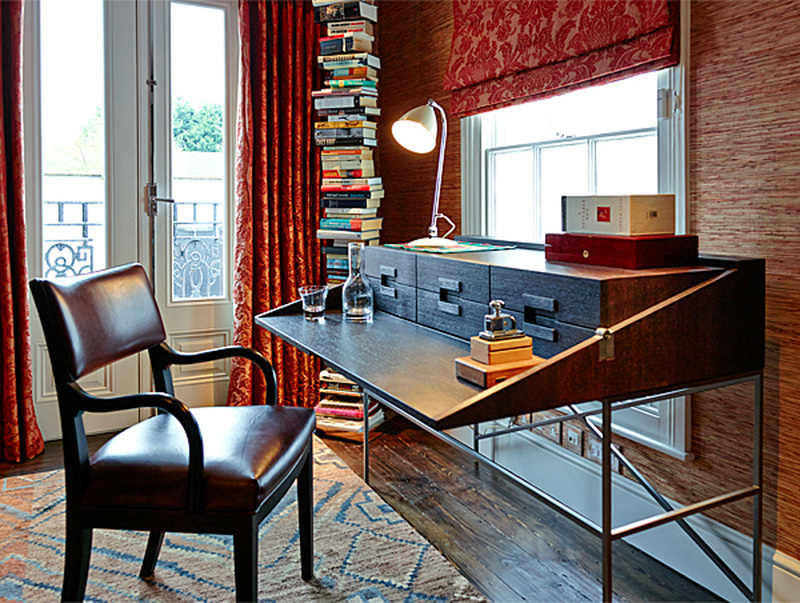 WHAT ARE THE TOP 5 TIPS YOU WOULD GIVE TO A SELF-BUILDER IN TERMS OF INTERIOR DESIGN? Always start with a plan and work to scale to make sure your requirements will fit into the building the Architect is proposing. Place all your furniture that you are considering using and furniture that you are considering buying, this helps to give a sense of proportion and will of benefit when you come to consider lighting and electrical. Do lots of research to make sure that you are happy that you have covered all your current and future needs and the design you have chosen will stand the test of time. When selecting the design criteria for bathrooms and kitchens choose a classic style modern or traditional, bathrooms and kitchens are harder to change later on if you have gone for a current fashion that will date quickly. Furnishings are much easier to change. Employ the services of a good Interior Designer sooner rather than later! We would like to thank John Evans for his expert contribution to ACA’s blog. If you are interested in Interior Designer’s services why not visit John Evans Interior Architecture & Design Ltd website and contact their specialists to discuss the solutions?